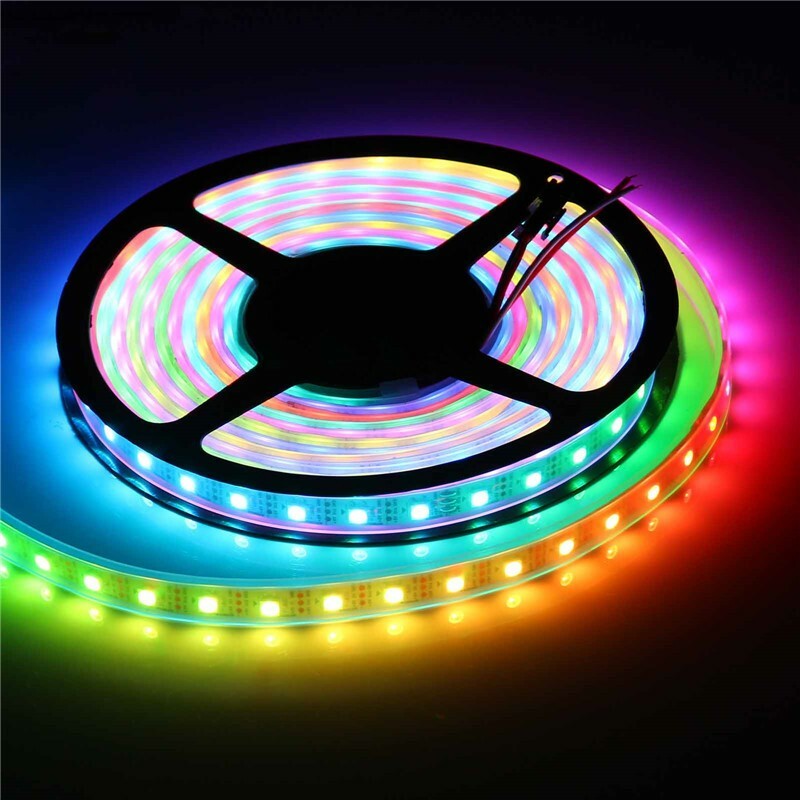 Based on high quality SMD5050 RGB LEDs, integrated 2811 control ICs. 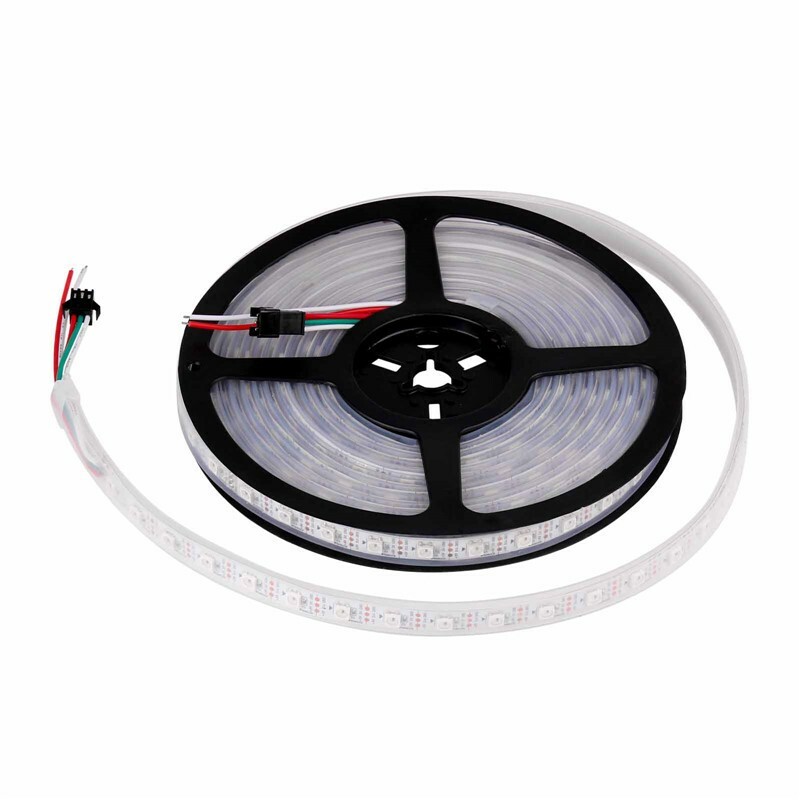 Can be controlled by 2811 controller, numbers of lighting mode is available. 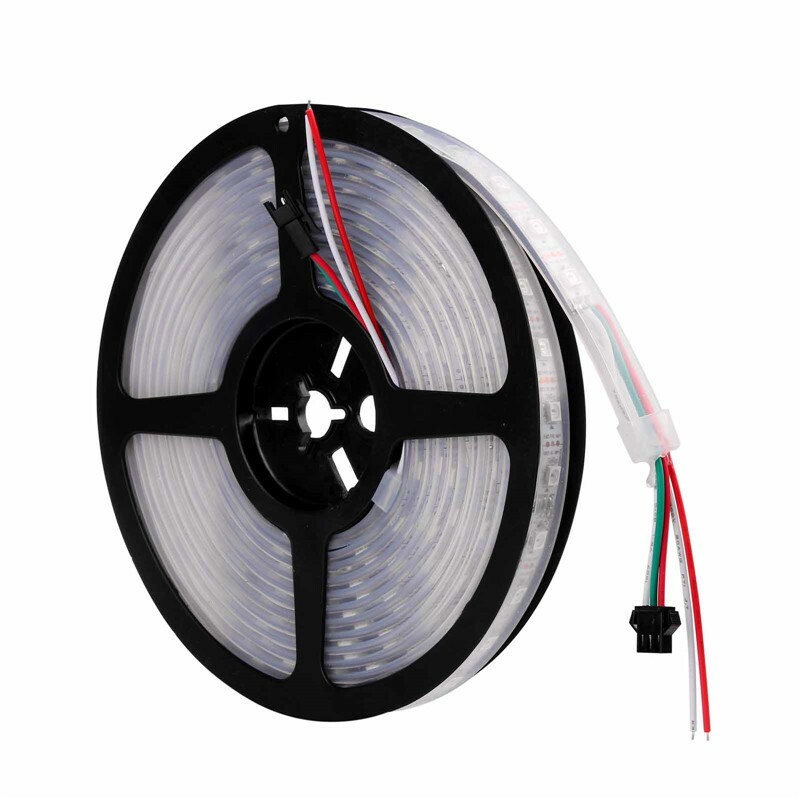 Cover with rubber tube, IP67 waterproof. 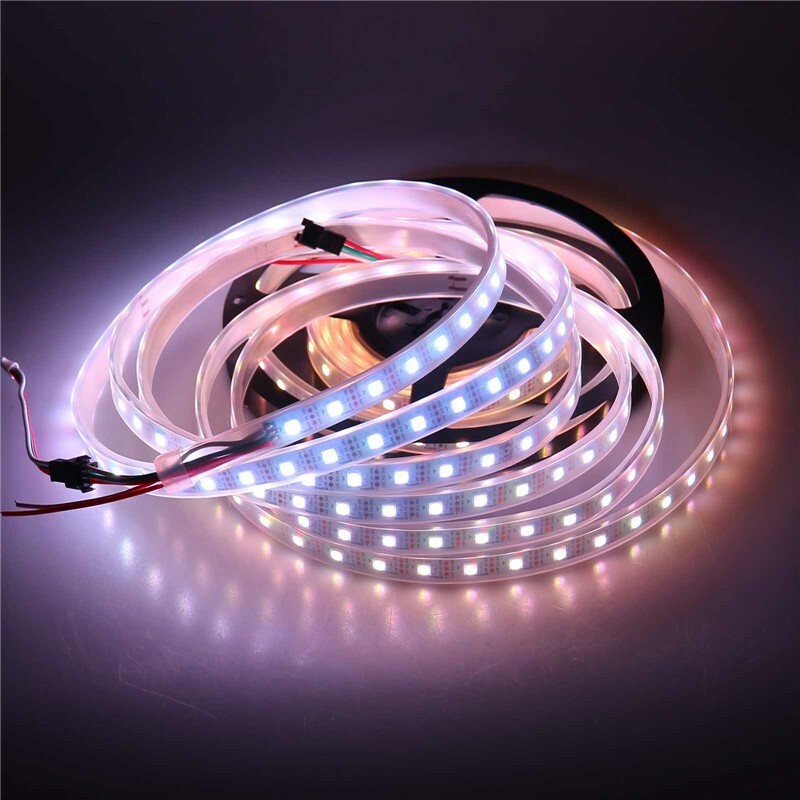 Ideal for cove, pelmet, shelf or wardrobe lighting or in commercial applications, product displays, under counter lighting, architectural decorative, amusement park and theater lighting, etc. 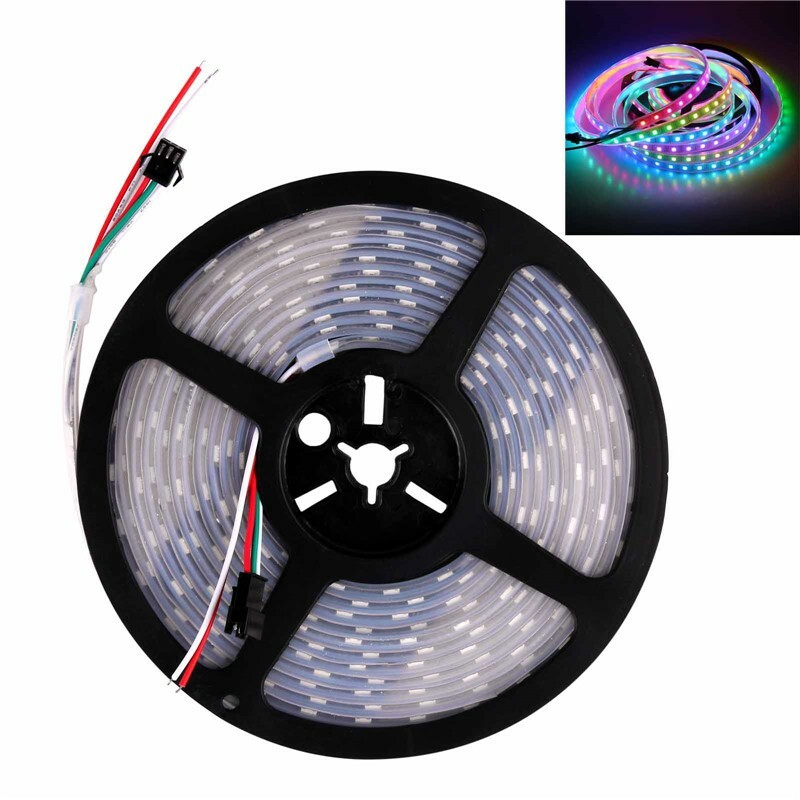 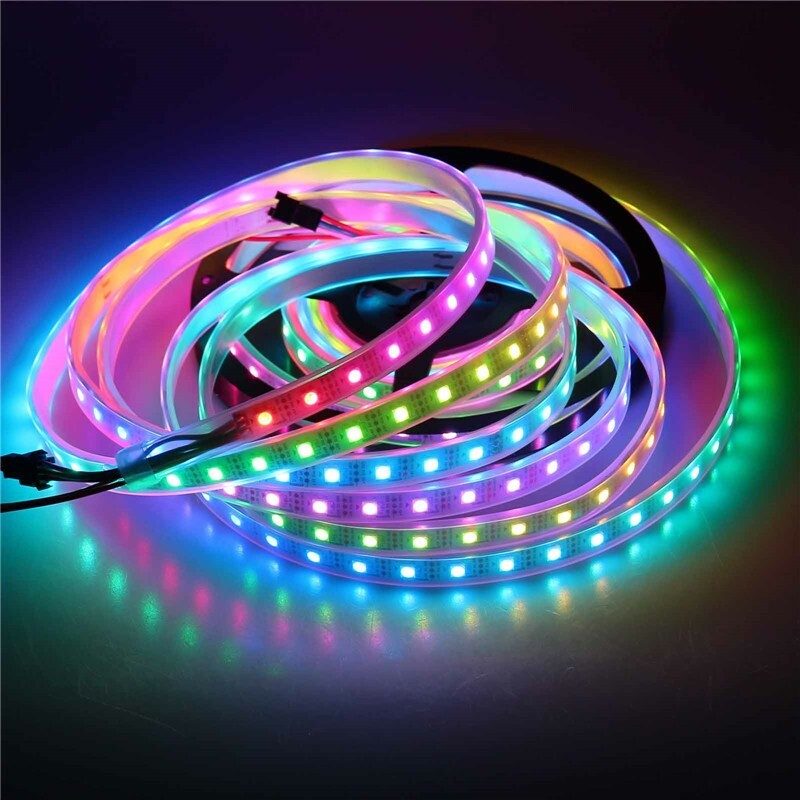 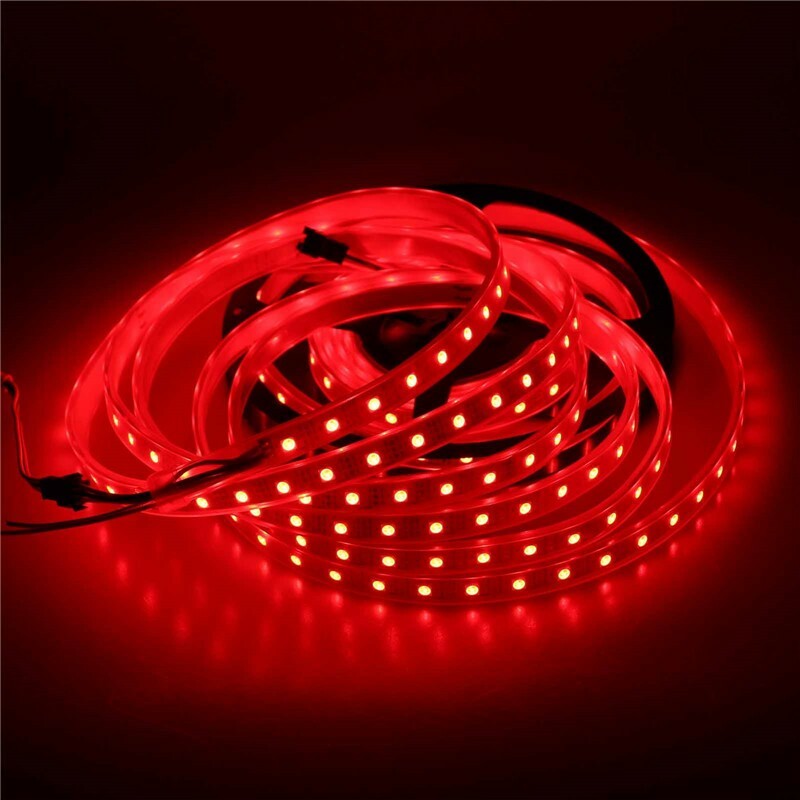 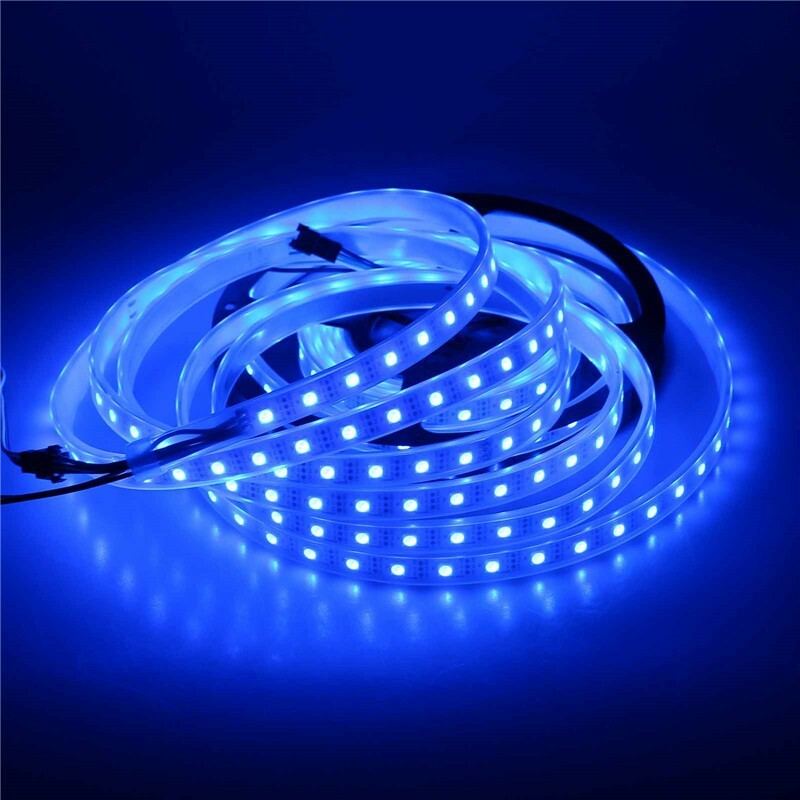 This magic color LED strip comes by the meter in a number of different color, with indoor or outdoor rating. 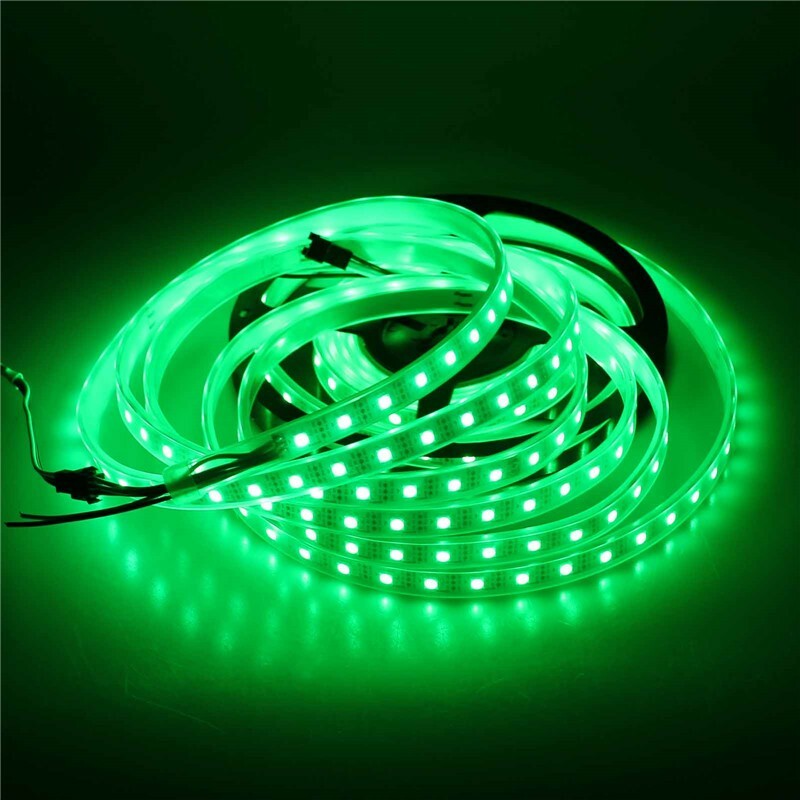 Environment friendly, no radiation, no flicker, no harm to human eyes. 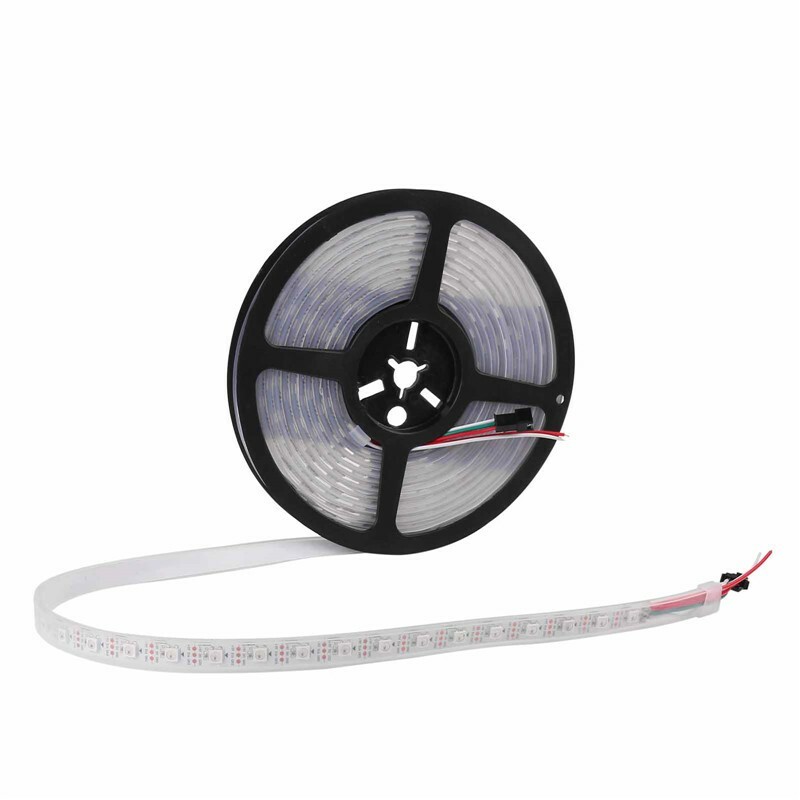 Power saving, no heat, low power consumption, stable performance.